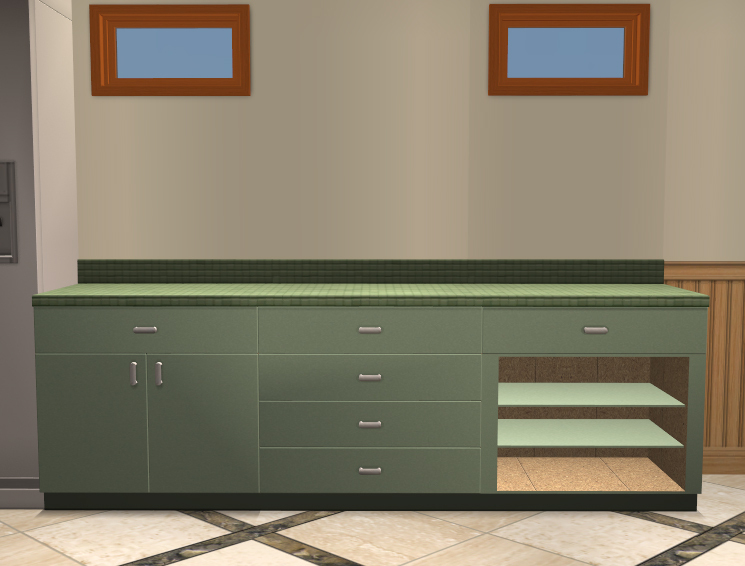 WIPs, partially inspired by Kiri's Value add-ons, partially by all the counter recols iCad has been making lately, and partially by the fact that I like variety in my kitchens but my favourite counters only has door versions and islands, and nothing more. I'm sure this has been done before, but I wanted to try something new. (My poor dog thought I had finally lost it when I yelled "YES! IT CORNERED!" 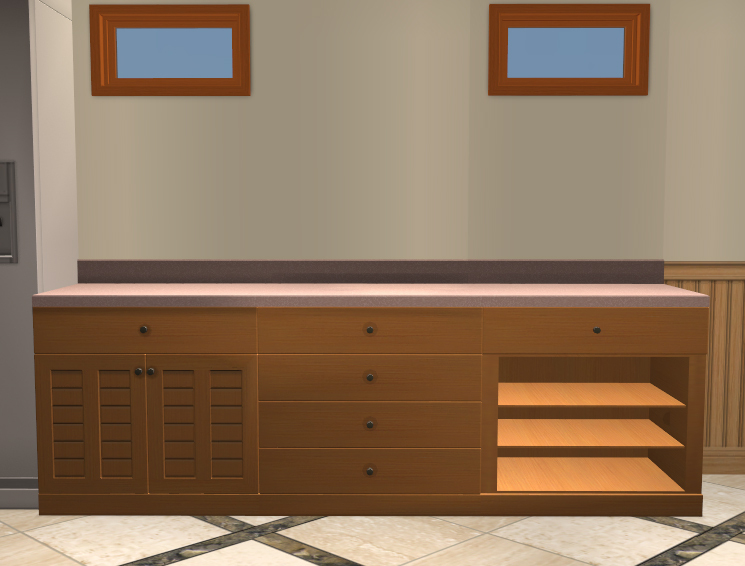 ) Basically, I'm planning to add counters with (animated) drawers and (not-animated) shelves to the sets that only has one counter. All repositoried to their in-game companions, of course; they wouldn't be much use otherwise. The Epikouros counter is probably going to get one that's half drawers, half door as well (like the Impossible Mission counter from... some EP). And proper shadows. Oh my sweet Will Wright!!! This is fabulous!!! Just what I wanted! I'm not game to try counters - but these are just what I was thinking of when I was doing the cabinets! Hee! Glad to hear someone other than myself will find them useful. I'm using Numenor's templates from MTS, that already have all the necessary resources collected (otherwise, counters are one of those things that doesn't clone properly in SimPE), so all I have to do is put in my meshes in the right places and make them repository. There's no doubt in my mind you could do it as well. BTW, if you (or anybody else) have any ideas for additional counters, I'm game. The more, the merrier! @BoilingOil I'm not Kiri, but thanks anyway. @Ivaristal Glad you like it! And I'm not just going to do this for the two counters pictured, I'm going to (try to) make additional counters for counters from various EPs as well, that only have one kind of counter. The more variety, the better IMO. oops... My bad! Sorry, Nix. I meant you! Oh my, more Maxis match add-ons for the kitchen. Is it Christmas already? They look great Nix, thank you.